Wickenburgite: Mineral information, data and localities. Named after its discovery locality, the Potter-Cramer claim, near Wickenburg, Arizona, USA. Monteregianite-(Y)-Wickenburgite Series. Chemically similar to maricopaite and 'UM1985-25-SiO:AlCaMgPb'. Mimetite 11 photos of Wickenburgite associated with Mimetite on mindat.org. Fluorite 7 photos of Wickenburgite associated with Fluorite on mindat.org. Willemite 7 photos of Wickenburgite associated with Willemite on mindat.org. Calcite 5 photos of Wickenburgite associated with Calcite on mindat.org. Iranite 4 photos of Wickenburgite associated with Iranite on mindat.org. Duftite 3 photos of Wickenburgite associated with Duftite on mindat.org. Cerussite 2 photos of Wickenburgite associated with Cerussite on mindat.org. Phoenicochroite 2 photos of Wickenburgite associated with Phoenicochroite on mindat.org. Hydrozincite 2 photos of Wickenburgite associated with Hydrozincite on mindat.org. Aragonite 2 photos of Wickenburgite associated with Aragonite on mindat.org. 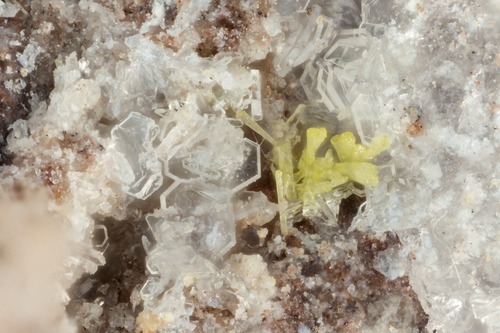 Williams, S.A. (1968), Wickenburgite, a new mineral from Arizona, American Mineralogist: 53: 1433-1438. 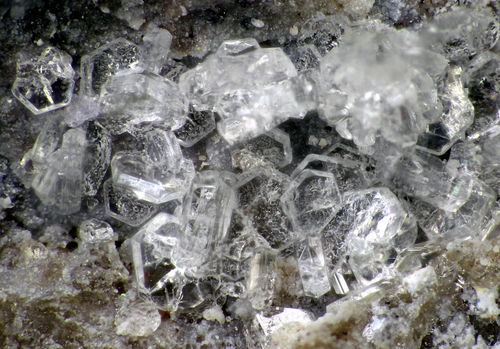 Canadian Mineralogist (1994): 32: 525-528. American Mineralogist (1995): 80: 850. Anthony, J.W., et al (1995), Mineralogy of Arizona, 3rd.ed. : 419; Bancroft, P. & G. Bricker (1990), Arizona's silver mining district, Min.Rec. : 21: 151-168. Anthony, J.W., et al (1995), Mineralogy of Arizona, 3rd.ed. 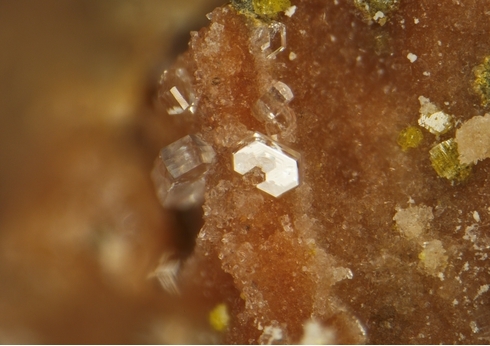 : 419; Bancroft, P. & G. Bricker (1990), Arizona's silver mining district, Mineralogical Record: 21: 151-168; Min.Rec. : 21: 160. Southern California Micromounters Symposium, Jan 29, 2010, Redlands, CA. Anthony, J.W., et al (1995), Mineralogy of Arizona, 3rd.ed. : 419. Anthony, J.W., et al (1995), Mineralogy of Arizona, 3rd.ed. : 103, 192, 419; Williams, S.A. (1968), Wickenburgite, a new mineral from AZ, Am.Min. : 53: 1433-1438; Williams, S.A. & R.A. Bideaux (1975), Creaseyite, Cu2Pb2(Fe,Al)2Si5O17·6H2O, a new mineral from Arizona and Sonora, Mineralogical Magazine: 40: 227-231. Anthony, J.W., et al (1995), Mineralogy of Arizona, 3rd.ed. : 419-420; Williams, S.A. (1982), Luddenite, a new copper-lead silicate mineral from AZ, Mineralogical Magazine: 46:363-364.